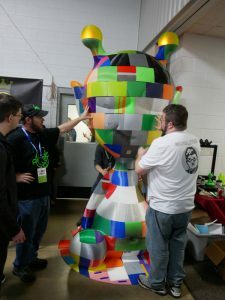 A lot of folks don’t realize that world’s largest 3D printing meetup is held right here in Indiana. 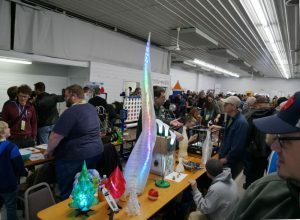 This year several of us went to the 2019 Midwest RepRap Festival (MRRF) in Goshen Indiana – and it exceeded expectations. 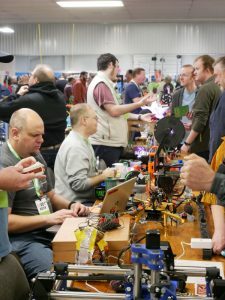 It was impressive in a number of different ways, from the 3D printing ‘names’ and prototypes that were there to the number of innovative ideas that people were trying and showing off. 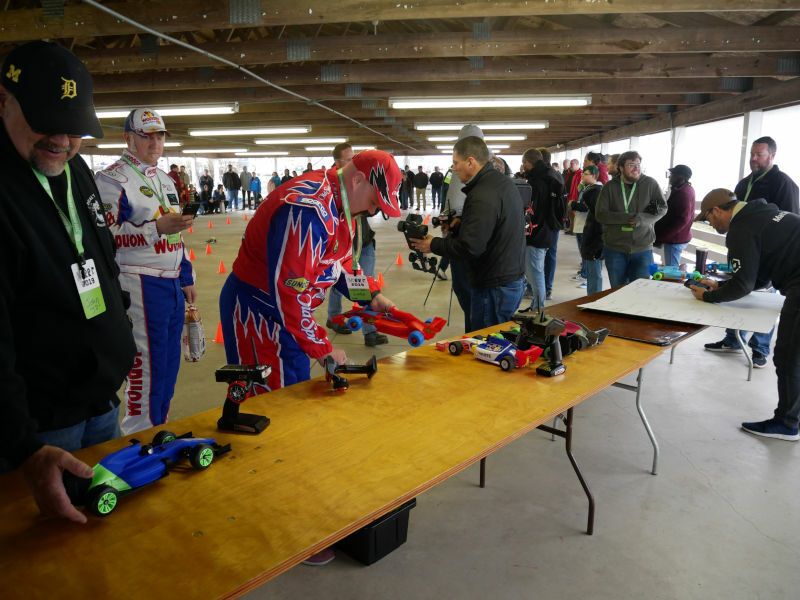 You could describe it as a Maker Faire just focused on 3D printing. This is not a Midwestern or even just a USA event. I talked with firms from Britain, China, Czech Republic, Israel, and I’m sure other places I don’t remember. You could learn about products directly from the manufacturers present, then walk over a couple of aisles to someone that was using their parts in a 3D printer they had built. Folks spent most of the day gluing this massive 3D printed light up alien. And the really exciting part was being able to network with all of the interesting people and the things they brought. From a school built/designed concrete printer to a home-built printer designed to print outdoor 4-5’ tall artistic spires (which lit up from internal LEDs), innovation was everywhere with tables of folks showing off what they had made. Underwater 3D printing? Saw one. Continuous 3D printing on a belt? There & being open-sourced. Even someone rebuilding 3D printers & shipping them to underdeveloped countries. It was actually hard to get around, between the massive crowd and number of Youtubers that were there making segments for their online channels. Sure many printers & prints were complex and daunting. But there were also tons of simple ideas like an enclosed 3D printer case using a food dehydrator to keep things warm & humidity low. 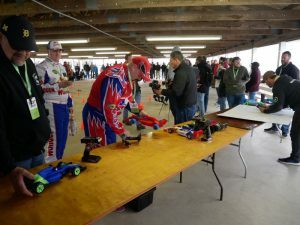 3D printed R/C car racing was held next to the “Livestock Potty Area” at the 4H Fairgrounds.